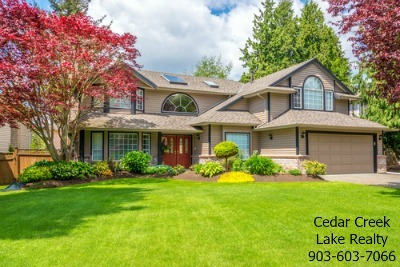 During the home selling process, your real estate agent will bring potential home buyers through your home for tours. It’s critical that your home stay show ready at all times. The challenge is that this is still your home, and you can’t postpone life while your house is listed for sale. Here are a few tips to help you when it comes to keeping your house show ready until it’s sold. Keep your lawn manicured and free of debris. Take care of any plants that may need your attention, and keep things watered. Remove any decorative items that are distracting. Encourage your family members to put away bikes, skateboards, and any other toys they may play with outside. If you have a pet outside, keep their area clean and neat looking. Kitchens sell homes, and you want yours to be in pristine condition during a showing. Refrain from cooking food dishes with strong odors. Wash dishes as soon as they are used and put them away. Empty trashcans frequently, and consider having a trashcan with a lid that closes. Check your refrigerator often for spills and items that need to be discarded. Keep counters free of clutter. Don’t leave sponges and dishcloths laying on the sink. Keep cleaning wipes on hand to do daily wipe downs of the sink, toilet, and bath areas. Remove hampers from the bathroom. They can make the space look small, and they can produce unpleasant odors. Empty wastepaper baskets often. Keep counters free of clutter, including makeup and personal care products. Keep a fresh bottle of hand soap on hand, and refrain from using bar soap in the sink area. Have clean hand towels hanging, and let household members know they are not to be used. Select a small amount of toys to be kept out for children in the home. Consider packing the rest and placing them in storage. Encourage children to put away toys as soon as they are done playing. Remove items off the closet floor, including shoes and clothing. Create the habit of making the bed as part of your morning routine. If you have a cat, clean their litter box often. Put away food dishes when they are not in use. If you have other pets with cages or aquariums, make sure they are cleaned often and don’t produce unpleasant odors. Consider having your pet somewhere safely secured when potential home buyers are touring your house. This protects them and your guests. Designate a special place for paperwork, mail, and other things you may need on hand. Don’t leave these items sitting out in the open. Wash, dry, and put away your laundry as soon as you have a load. Consider renting a storage unit to place packed boxes and furniture that is not needed. This will keep things from looking cluttered. Set up a red-alert code word for your household that means everything needs to be put away and put in order quickly because someone is on the way. Practice a few times, and make it a game for children. Speak with your real estate agent about other tips for keeping your house show ready. 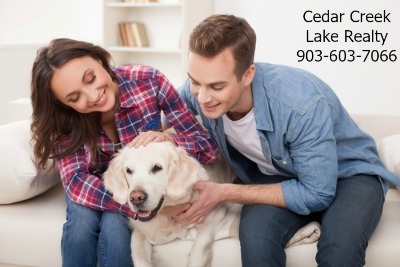 Give one of the Cedar Creek Lake Realty Team agents a call at 903-603-7066 to discuss how they can help sell your home.